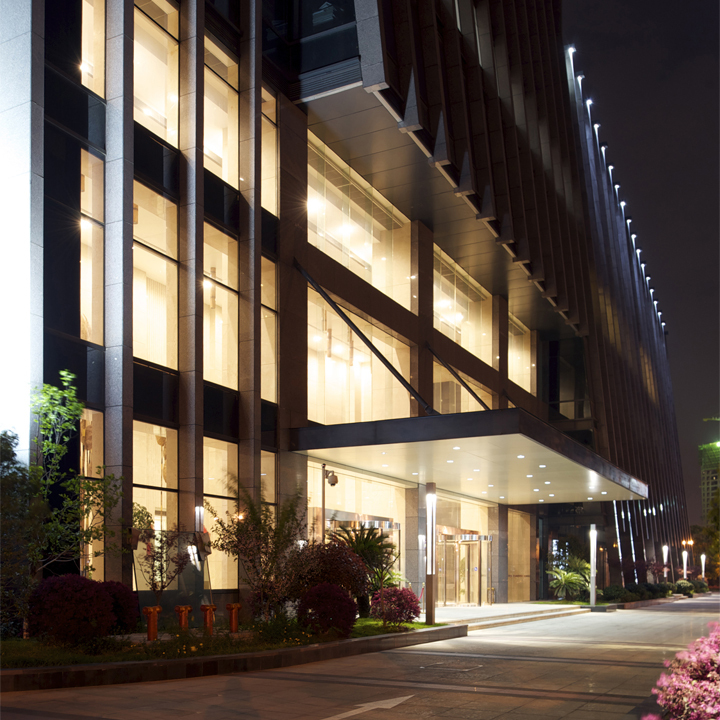 The Hongcheng skyscraper is located on the banks of the Qiantang River in the new administrative and business district of Hangzhou city, and is home to the offices of various companies. 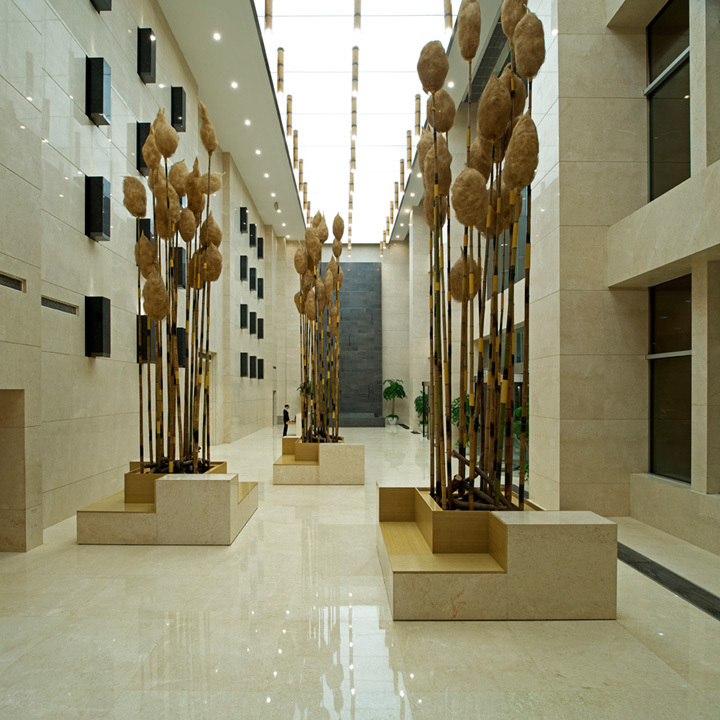 Commissioned by the building’s owner, the brief called for a unified interior design throughout the common are, a design that included an upgrading of the main lobby, foyers, corridors and amenities. 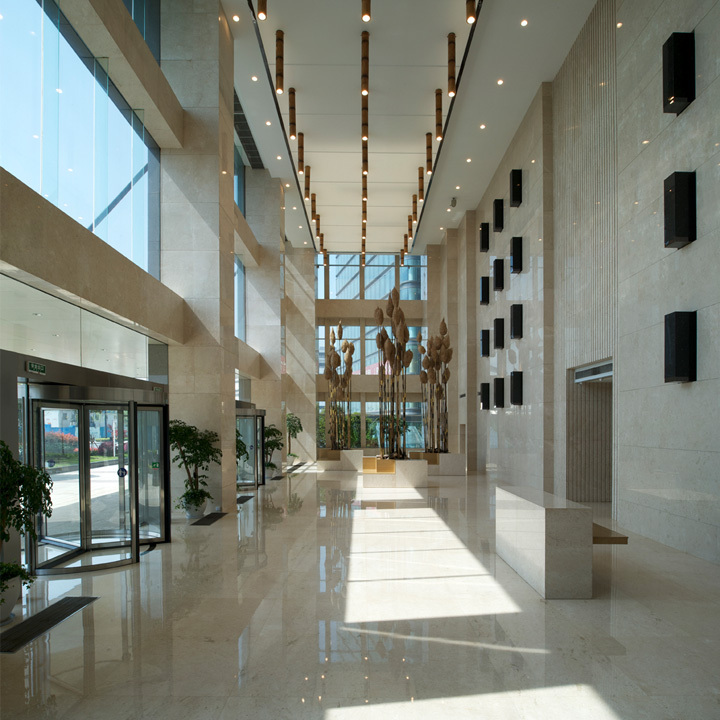 The 3 storey high entrance hall spans approximately 450 m2 to form the central reception, waiting and information area of the overall complex. 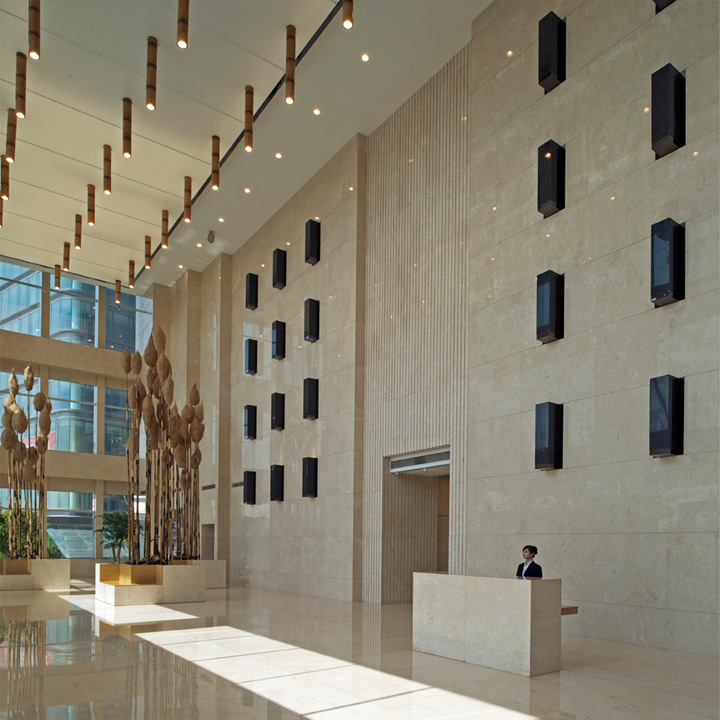 Views of the beautiful parkland opposite to the main entrance are optimized through the use of extensive façade glazing. 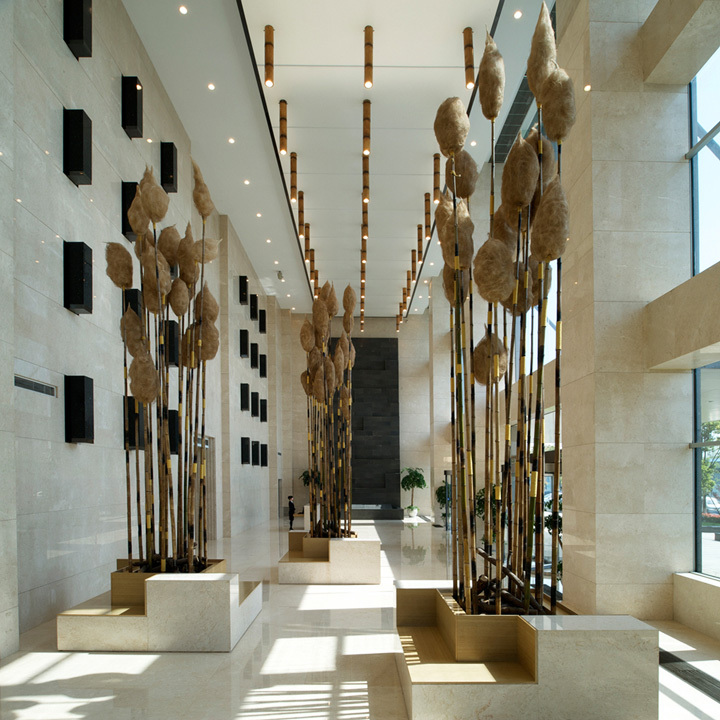 The configuration of the entrance hall was inspired by the natural landscape, reflected through the use of organic elements.